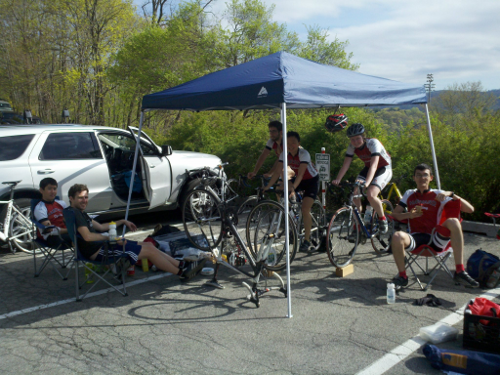 The team between races at West Point. With car rental, hotels, and entry fees, we couldn't have raced without our supporters' backing. In the spring, Harvard students pack their bicycles, their kits, and their hopes into vans. They drive hundreds of miles, criss-crossing New England in search of racing glory on the road. But racing is expensive. Each weekend can cost the team as much as $1500, and with 8-9 race weekends each season, the costs quickly add up. We receive very little financial support from Harvard, and rely upon your generous support to keep our race season alive. To race with us or get team discounts and benefits, you must be a member. Dues start at $40 and provide increasing levels of benefits. Cat 3 ($40): The basic level of membership, well-suited for the casual rider not interested in racing. A Cat 3 membership allows you to get in on huge discounts in selected deals from our corporate supporters. Cat 3 members are also eligible for short-term rental of team equipment (such as bike racks or trainers). Cat 2 ($85): This intermediate level of membership is ideal for new riders with an interest in racing in the collegiate season in the spring. Cat 2 members receive all of the benefits of Cat 3 members, plus access to all equipment deals, and discounts on HUCA clothing. Eligible racers also receive free transportation, lodging, and entry fees to 2 race weekends in the spring. Pro/Cat 1 ($130): This is the ultimate level of HUCA membership, perfect for racers who intend to compete for HUCA in the spring. At the Pro/Cat 1 level, members receive all of the benefits of Cat 2 membership, and eligible racers receive free transportation, lodging, and entry fees to unlimited race weekends in the spring, plus eligibility to go to Nationals (if they qualify). Pro/Cat 1 members may also become eligible for training-related team deals (such as Strava premium membership). 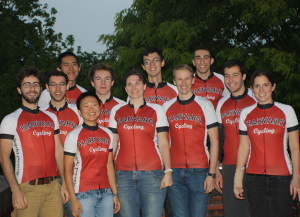 The 2011-2012 Harvard racing team. If you are not interested in membership, but would still like to help out, you can donate to HUCA. 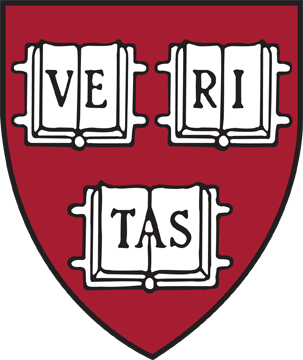 Your donation is tax-deductible and receives Harvard College Fund class credit. You can send donations online at gocrimson.com/support, by phone to 1-800-VERITAS, or by check (payable to "President and Fellows of Harvard College", with "to Harvard Cycling" in the memo section). If you are unsure about how best to donate, or how to make sure your gift will be tax-deductible, please don't hesitate to contact us. Pro Tour Level ($5000): Our Pro Tour supporters have truly committed to making the racing season a success. On average, it costs at least $5000 to send a team to the collegiate national road racing championships in May, and this would simply not be possible without our Pro Tour Level supporters. Continental Level ($2000): Continental supporters are essential to the team being able to race the entire season, and provide the support necessary for a large HUCA contingent to attend a race weekend. Bike Sponsorship (~$1200-$1500): When riders demonstrate rare potential and a strong desire to race, but are unable to afford a racing bicycle, they are paired with bike sponsors. These donors give the gift of a race-worthy bicycle, so that a dedicated rider may race regardless of his or her financial standing. Gold Level ($1000): The support of Gold Level members helps make our race weekends possible for smaller HUCA racing delegations traveling to more distant races. Silver Level ($500): In the fall, we invest a lot of effort in recruiting new riders from incoming classes of undergraduate and graduate students. This includes a number of social events off the bike, supported by our silver-level members.